Bel bows down, Nebo stoops low; their idols are born by beasts of burden. The images that are carried about are burdensome, a burden for the weary. ﻿If you have flown commercially lately, for business or pleasure, you know that airline travel has become much more difficult than it used to be. Even if you haven't traveled on an airline lately, you probably have heard that airlines have added lots of extra charges. Some airlines are now carefully weighing and measuring your checked luggage. I guess they have to, considering the stuff some people try to cart on board. When it comes to our relationship with God, religion can become just so much carry-on baggage. It can drag us down. It can seem to be so necessary, so important, so vital and so spiritual, but religion can seriously burden and impair our relationship with God. How much spiritual baggage are you trying to drag with you as you journey through life? Is the spiritual baggage you are lugging around helping you, or is it bogging you down? 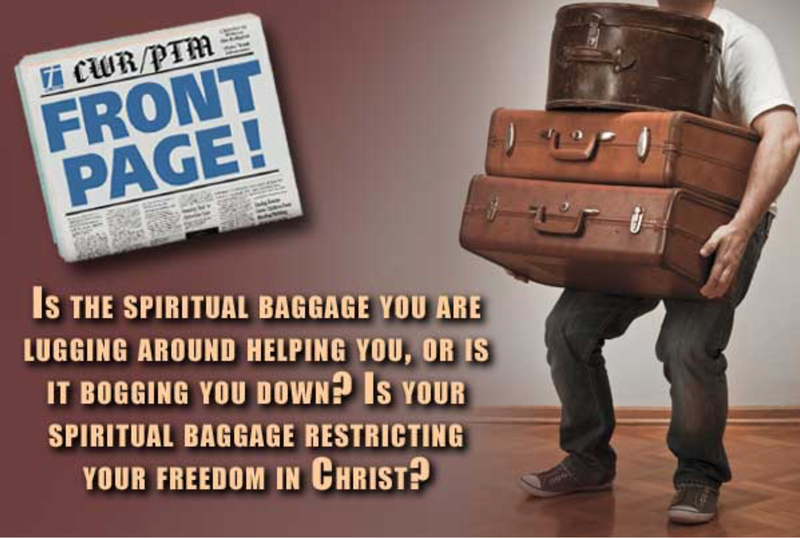 Is your spiritual baggage restricting your freedom in Christ?